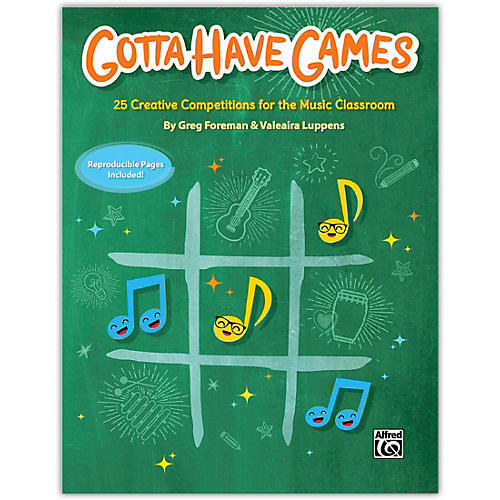 Refresh your general music classes with this collection of 25 games including relay races, memorization tasks, one-on-one competitions, board games, and more for elementary and middle school students. Taken from the classrooms of two veteran general music teachers, these clever activities are designed to be integrated into your existing curriculum to reinforce and review the musical concepts you're already teaching. Each game includes clear student learning targets, complete instructions for game assembly and play, and reproducible templates for easy use. Recommended for grades 2--8. 68 pages. Alfred Music #00-46834.